This question has been asked by many different people over the years. From doctors and physicians, to the poor chap struggling to pay the bills. Who has been told he has diabetes and looking for some help in knowing what to do next. Can anything be done to help these people? The answer is in most cases yes. But is it as simple taking a pill or magic a potion and everything is fine? I think we all know the answer to that is no. But it’s not as hard as you may think, all it takes is a bit of knowledge and the will implement what you’ve learned. We are now going to talk about the reasons for and courses of diabetes. Then what you can do about making a change so you dictate how to live your life and not have diabetes rule you. A few years ago, I was told by my doctor that I was pre-diabetic, and that soon I would have diabetes. There didn’t seem to be much I could do about it. They gave me a diet sheet and some pills and that was that. My wife quickly told the kids and the rest of the world about my diabetes.They said I told you so! Then started to tell me all the things I should and shouldn’t be eating drinking etc. To be honest I know they were doing what they thought was right but I just felt like giving up saying that was that I’ve had a good innings and let what will be, be! After thinking long and hard about my situation I decided that I don’t give up, there must be something I could do to improve my lot in life. And guess what, there’s loads of things you can do to fight diabetes. 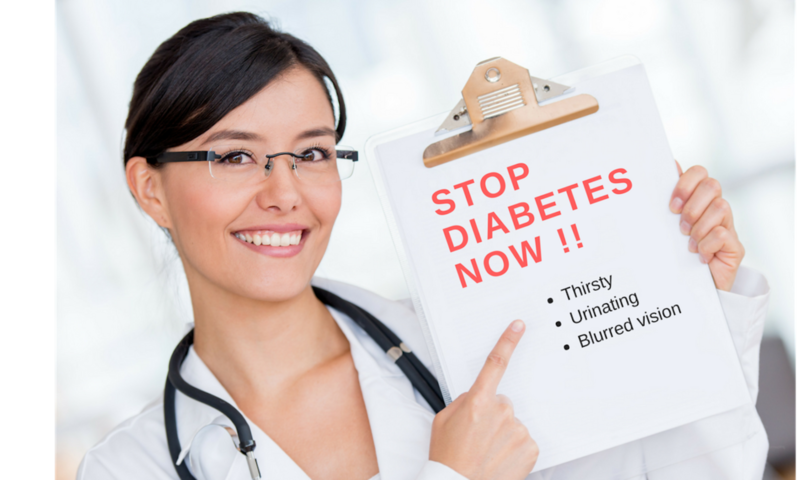 Not only can you stop it, you can reverse it and lead a life without having to inject yourself every day or live in fear of all the horrible things that are associated with diabetes. First things first, if like myself you live in the western world, you will probably know that our diet although calorie rich (we’re not staving by any stretch of the imagination) isn’t really the healthiest diet out there. We eat far too much sugar! And that sugar isn’t just what we put in our coffee. It’s in everything; bread, cakes, biscuit’s, cereal, fizzy drinks and the list goes on (I don’t even want to get into processed and packet food). And it’s the sugar that is causing all the problems with our health. For so many years we have been told, its fat that’s bad for us. But the experts have changed their minds and after far too long have come to realise that we need the fat in our diet, and not the sugar. So, for as long as I can remember we have been told the wrong things, and in this happening, much of the so called healthy food has had all the fat taken out of it and that fat has been substituted for sugar. Knowing this explains so much; you go on a diet lose a few pounds and the next thing you’re fatter than ever. We have to realise that saying “we are what we eat” is so true, and what we put into our body really does matter and has consequences. Our body uses food as fuel, breaks it up and uses what it has taken in to keep us working properly; protein for helping us to rebuild our cells; fat to keep them cells in good shape, vegetables and fruits to give us minerals and nutrients, and if we are eating carbs they will be used as fuel to give us energy when we need it. But is it the case that we need so carbs (sugar) in the amounts that we consume it these days? NO is the simple answer! Believe it or not we have known this for years. Studies were made over one hundred years ago that told us that refined carbs would make us fat much quicker than eating fat it’s self but somehow these finding were discarded and the common thinking became that fat makes you fat! And now that is so far ingrained in our thinking that if you dare say to someone the contrary they will think you are some kinda weirdo who’s promoting witchcraft or some kind of silly trendy diet. Not just using common knowledge with the reasoning from a proper understanding of how our baby works. Have have you ever heard of fasting? I’m sure you have, and guess what it’s been used for hundreds of years and isn’t a new concept, in rebooting our body into working who it should. I started to research how this can benefit us, hand it seems that it does in so many ways. Using it with eating in a more sensible way can improve our health immeasurably. And do you know what? It doesn’t cost anything, in fact it can save you time and money just by implementing it into our life. To understand how, just think about it you can’t get a better detox than not taking anything in, and giving your body a chance to to get any bad stuff out. Or just use up all the stuff you have been storing up, to repair and get yourself firing on all four cylinders. We have been told over the years to eat eat eat. If you don’t you will have all sorts of problems but the thing is by gouging our selfs with mountains of food we are coursing a whole new set of problems for our body to deal with, diabetes, heart decease liver problems kidney problems, and list goes on. So can this be right?? Image Not FoundRemember we have to take some responsibility for ourselves and understand whether fasting is good for us or not. For example if you’re over weight and on the edge of having diabetes or the like, then it maybe something with the over sight of your doctor to consider, however if you are under weight, then there wouldn’t be the need for taking this kind of action, you may be in training so although fasting could make you feel better you may not have the fat stores to deal with a total fast and may want to consider ketosis where you keep your carbohydrates very low but still take in some protein and fat. Educate yourself and find out how you can become well with a little knowledge. Doctors do a wonderful job trying to look after us. But if we don’t look after ourselves we are giving them an impossible job. All the pills etc that we take are really only sticking plasters. They help get rid of our symptoms but not addressing the underlying problem that courses us to have the symptoms in the first place. Everyone should take a long hard look at why they are getting sick. And realise that it’s not that hard to do something about it. All it takes is a little knowledge and we can all make ourselves much better.